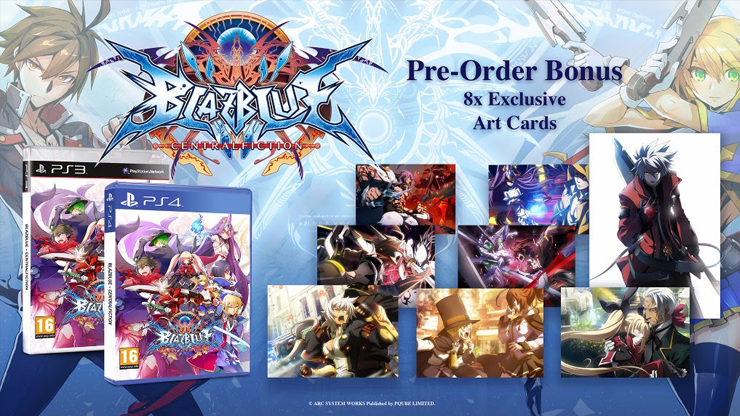 Pqube just announced the release date and preorder bonuses for BlazBlue: Centralfiction in Europe. Centralfiction is the climax to the current story arc for BlazBlue and it will be released in Europe on November 4 on PlayStation 4 and PlayStation 3. Preordering it at GAME in the UK and certain retailers in Europe nets you 8 art cards. BlazBlue: Centralfiction is set to release on November 4 on PlayStation 4 and PlayStation 3 in Europe. The North American release will be handled by Aksys Games.